The ETF Summit is designed for Retail, Institutional and Independent advisors to come and learn about the ins and outs of the Canadian ETF market. We have designed a conference agenda with education in mind by researching with advisors currently buying ETFs as well as those who are weighing up the opportunity and still have unanswered questions. Live trading demo, giving a practical guide for buyers. Hear from over 30 expert speakers from Canada’s most talented investors. Controlling beta risk in ETF portfolios. Keynote presentations covering Canadian market macroeconomics as well as thought provoking sessions of behavioural investing. exposure to the latest products and trends in the fast growing ETF industry. 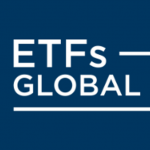 ETFs Global Markets Roundtable conference brings together leaders from across the ETF marketplace including ETF issuers, exchanges, broker-dealers, institutional investors, investment advisers, regulators, and other market participants. Each agenda is uniquely tailored for an in-depth discussion of the business, technological and regulatory developments in the markets impacting ETFs in the respective jurisdictions. 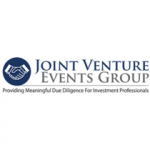 In the short time since the conferences have begun, they have become the premier event to learn about how investors are utilizing ETFs, developments surrounding the trading of ETFs, and ETFs’ impact on the markets. New for 2019, Inside Smart Beta & Active ETFs heads to Boston, the hub for factor investing. You’ll hear from institutional investors, academics at the cutting edge of research and factor investing specialists who are spearheading the growth of this complex strategy. You´ll learn real-life actionable solutions to fit any portfolio and receive practical guidance on the application of factor based ETFs. Equip yourself with the tools to deliver extra value for your clients. 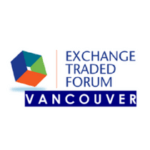 Canada’s largest and longest standing event dedicated to Exchange Traded Products. Hear from leading financial industry professionals and industry experts who will provide valuable insights into the issues and trends that matter most to Canada’s financial professionals. Join us for presentations, advisor/client-focused sessions, roundtable discussions, networking events and knowledge sharing critical issues facing the financial industry. Gain invaluable insight into how the market is structured and where it is heading in the current rate climate. Will we see an increase in the current market volatility in 2019 or are markets finding equilibrium? We added the Dividend Investing Summit to this year’s agenda. The summit was dedicated to income focused investing and gave delegates the tools to guarantee the best returns for their clients. TrackInsight, in cooperation with JP Morgan Asset Management & DWS Xtrackers ETF, along with our partners Koris International & Conser Invest, is organising the second edition of the TrackInsight Investor Summit Madrid. This private event dedicated to professional investors will take place on the 9th April at the Hotel Villa Real. sessions, roundtable discussions, networking events and knowledge sharing critical issues facing the financial industry. This is an opportunity for IIROC based financial advisors and also Portfolio Managers to gather together in a great location to network, learn from each other, and participates in the numerous educational opportunities that fill the agenda. For four days, Inside ETFs brings together every side of the ETF ecosystem, with unmatched opportunities to connect, make connections and find ways to grow your business. Join ambitious players from asset management, wealth management, institutional investment, investment banking, financial technology and service providers. For the first time Bloomberg is convening an exciting four-part series, Disruptive Threats and Opportunities: The Future of ETFs taking place in Amsterdam, Frankfurt, Paris and Zürich. We’ll gather leading investors, issuers, and industry experts to answer questions including – is indexing getting too big? Will ETFs cause the next crash? Where will the growth in new products be? And whether MIFID regulations could unlock more transparency and growth for the industry. Whether you’re an active manager looking to beat the benchmark, or currently working in the ETF space, knowledge of how the ETF market is growing and changing is vital to profit in today’s uncertain market environment. 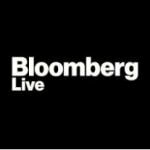 For the first time Bloomberg is convening an exciting four-part series, Disruptive Threats and Opportunities: The Future of ETFs taking place in Amsterdam, Frankfurt, Paris and Zurich. We’ll gather leading investors, issuers, and industry experts to answer questions including – is indexing getting too big? Will ETFs cause the next crash? Where will the growth in new products be? And whether MIFID regulations could unlock more transparency and growth for the industry. Whether you’re an active manager looking to beat the benchmark, or currently working in the ETF space, knowledge of how the ETF market is growing and changing is vital to profit in today’s uncertain market environment. 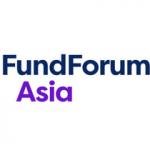 Next ETF 2018 will be a leading ETF and Indexing event in Asia, where 200+ Investors and Fund Managers will bring you a full landscape of Asia’s ETF market. Better understanding of the ETF market will help you to easily allocate your assets and optimize your portfolios. Next ETF will bring you to a brand new and next generation of ETF market, not only from traditional investment strategies but also adding Fintech, AI, Data Mining and Blockchain into thinking. It will twist your world of ETF issuing and investment. Our deep in local market knowledge especially in China, gives you easy access to China’s fund managers and institutional investors. It is hard to find such similar ETF executives from other events globally! For the past two decades, IMN has created some of the most essential industry events for the asset management space and we are proud to continue that tradition in 2018 with our flagship event. Serving as the industry’s longest running indexing and ETF event, Global Indexing & ETFs 2018 will once again return to Dana Point, CA, on June 24-26. We look forward to hosting a cross-section of industry practitioners – institutional investors and asset owners, index providers, ETF issuers, asset managers, exchanges, technology solutions providers, retail investment advisors, academics and more – in California this June as we turn the next page on this fantastic industry’s exciting story. The Canadian market has a long and storied history when it comes to ETFs, including being the first market to launch an ETF. 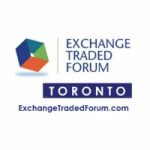 Join thought leaders, innovators, disruptors and more at the inaugural Inside ETFs Canada conference. BE DIFFERENT. BE BETTER. NEW APPROACHES TO BEATING THE MARKET. Factor investing and active ETFs are changing the way we invest. Are you keeping up? 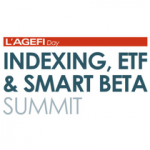 Join us at Inside Smart Beta and Active ETFs as we bring together academic researchers, institutional investors, ETF experts and investment gurus to talk about the new face of alpha. 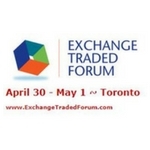 Join us at Canada’s largest ETF conference. This annual event promises to deliver timely and actionable ideas to help attendees navigate any market conditions. 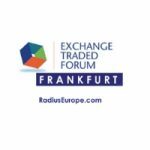 With a top-notch speaking faculty and a content-driven agenda focusing on the needs of all financial advisors, Exchange Traded Forum has something for everyone. Investing has changed, let Exchange Traded Forum 2018 be your opportunity to learn, network, gain experience and be visible. 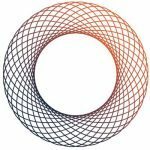 The 2018 ETFs Global Markets Roundtable series of conferences to be held in London on April 19 (covering EMEA), New York on May 15 (covering USA/Latin America), Toronto on May 31 (covering Canada), and Hong Kong in Q4 (covering APAC), will offer an opportunity for a substantive and in-depth discussion about the liquidity, trading, technological and regulatory developments impacting ETFs in the respective jurisdictions. The events are designed to provide the opportunity for buyside traders, portfolio managers, investment advisers and others from the institutional investor community, as well as other market participants and professionals involved in the ETF space, to hear current thoughts from industry leaders on ETF market structure and regulatory issues, and obtain a better understanding of how to trade and use ETFs, and of the impact that ETFs have on the markets and market structure. 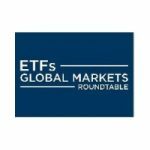 The 2018 ETFs Global Markets Roundtable series of conferences will offer an opportunity for a substantive and in-depth discussion about the trading, technological and regulatory developments impacting ETFs. The events are designed to provide the opportunity for institutional investors and financial advisors, as well as other market participants and professionals involved in the ETF space, to hear current thoughts from industry leaders on ETF market structure and regulation, and obtain a better understanding of how to trade and use ETFs, and of the impact that ETFs have on the markets and market structure. This annual event promises to deliver timely and actionable ideas to help attendees navigate any market conditions. 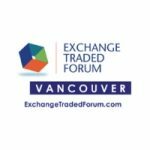 With a top-notch speaking faculty and a content-driven agenda focusing on the needs of all financial advisors, Exchange Traded Forum has something for everyone. Investing has changed, let Exchange Traded Forum 2018 be your opportunity to learn, network, gain experience and be visible. This comprehensive 1 day program has been built upon the premise of allowing Advisors & Institutions the opportunity to take a deep dive into the most relevant investment themes this year. 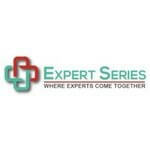 Our 5-star speaking faculty will be at your disposal to address cutting edge topic and answer questions like the above. 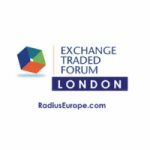 The 2018 ETFs Global Markets Roundtable series of conferences to be held in London on April 19 (covering EMEA), will offer an opportunity for a substantive and in-depth discussion about the liquidity, trading, technological and regulatory developments impacting ETFs in the respective jurisdictions. The event is designed to provide the opportunity for buyside traders and portfolio managers from the institutional investor community, as well as other market participants and professionals involved in the ETF space, to hear current thoughts from industry leaders on ETF trends, market structure and regulation, and obtain a better understanding of how to trade and use ETFs, and of the impact that ETFs have on the markets and market structure. Featuring industry experts and investment commentators from around the world, Index Investing 2018 examines everything from smart beta funds through to the rise of socially responsible ETFs. The increasing popularity of passive investing and how it is disrupting Aussie money managers will also be scrutinised in depth. From performance benchmarks to fees, the summit will take a look at the rapidly changing relationship between passive and active, what’s effecting who, and how. Some of you will already know Johann Bornman, as head of Product he has spoken with hundreds of customers to help us further understand how to keep improving. Johann will be going over some of our core offerings and you’ll have the opportunity to ask your questions directly. There will be approximately 30-40 minutes of presentation and about 20 minutes to take your questions. Europe’s leading digital wealth event returns for the 3rd year to showcase the latest automated propositions, such as Micro-Saving, Pensions and Hybrid Platforms. Exclusive features include Chatbots, Onboarding and Next-Generation customer engagement. Also an in-depth look at how to systematise, scale and design asset management strategies using AI and ETFs. And exploring how Open-banking, APIs and The Cloud will transform Data, Connectivity and Distribution, and turn competition into collaboration across Fintechs, Wealth Management and Banking. Every ETF issuer. Every index provider. Every major trading firm. Every custodian. Every regulator, reporter and analyst. And of course, thousands of financial advisors and institutional investors. For four days, Inside ETFs brings together every side of the ETF ecosystem, with unmatched opportunities to connect, make connections and find ways to grow your business. Hector McNeil and Nik Bienkowski, founders of HANetf, would be delighted if you were able to join them at the Annual ETF Conference on the 19 January. The event organised by Hector, Nik and CISI is hosted by Grant Thornton and has been running for a decade. 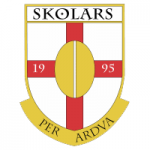 The invitation includes a free ticket to the friendly between the London Skolars and Wigan Warriors at the HAC. If you would like to attend, please contact info@hanetf.com and indicate if you would like to attend the morning or the full day. The ETP Forum combines some of the brightest minds in Investment Management and Exchange-Traded-Products in front of a highly sophisticated audience of Financial Professionals. Clearly a very different type of industry meeting, this conference blends Asset Owners, Asset Managers Family Offices, Endowments, Foundations and Wealth Management to create the most powerful audience in the ETP industry. The vibrant Asian ETF industry is attracting the best and brightest in finance: people who are willing to dream big and think outside the box. From our groundbreaking ETF workshops to advanced deep dives into regulation, trading and more, you’ll leave Inside ETFs Asia an expert on the hottest financial product across the globe, keeping you ahead of potential land mines and armed with the tools to build the portfolio of tomorrow. The 2016 Inside Fixed Income Conference was a huge success, bringing more than 225 delegates to Newport Beach for two days of hard-hitting content, learning, and networking activities. The premier “buyer’s only” all-in-one, 1-day due diligence solution for factor-based strategies for financial advisors and institutional investors. As a flurry of smart beta products hit the market and continue to garner attention financial advisors and institutional investors are fielding more and more questions about these strategies. ETFs are undergoing a revolution in growth and product development to meet heightened demand and popularity across all sectors of the investment community. Viewed as a low cost, risk adverse, liquid and tax efficient way to diversify a portfolio, ETFs are considered an ideal investment vehicle for investors continuing to seek high yields despite persistent global market volatility and low returns. For two and a half days, Inside ETFs Europe will bring together the world-leading experts to debate and discuss the most important issues facing investors in today’s challenging market! WAIS Bermuda is in its 2nd year and is a large gathering of alternative investment professionals and service providers. 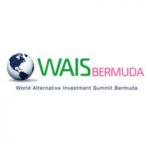 Featuring panel discussions with top-level international speakers, fund managers and leading service providers, WAIS Bermuda brings together over 300 delegates to explore every side of alternative investments. WAIS Bermuda is the event that is not to be missed. As a part of Bloomberg Buy-Side week, Bloomberg is hosting its inaugural Bloomberg Invest ETF London summit at our European Headquarters. 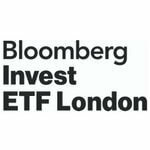 Through a sharp combination of expert panels and one-on-one interviews with the industry’s biggest players and top analysts, Bloomberg Invest ETF London will tackle head-on the biggest challenges and opportunities inherent in this booming market. TrackInsight, in cooperation with Amundi and BMO Global Asset Management, is organising the third edition of the TrackInsight Investor Summit London. This private event dedicated to professional British investors will take place on 29 September, 2017 at the London Stock Exchange. WAIS Canada is in its 16th year and is Canada’s largest gathering of alternative and exempt market investment professionals and service providers. 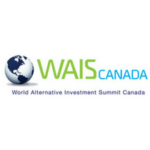 Featuring panel discussions with top-level Canadian and international speakers, fund managers and leading service providers, WAIS Canada brings together over 300 delegates to explore every side of alternative investments. WAIS Canada is a popular annual event that is not to be missed. The conference is designed for all financial professionals interested in using ETFs as part of their investment strategies. Whether you are an independent planner looking for insights to implement yourself or a more hands-off advisor searching for portfolio managers, the Morningstar ETF Conference will provide knowledge and perspectives that can help you make informed investing decisions. Serving as the industry’s longest running indexing and ETF event, IMN’s Global Indexing & ETFs 2017 will once again host a cross-section of industry practitioners, including institutional investors and asset owners, index providers, ETF issuers, asset managers, exchanges, technology solutions providers, retail investment advisors, academics and more. Taking place June 25-27 at the Monarch Beach Resort in Dana Point, CA, the 2017 program will also feature a dedicated track of panels focused on the rise of evidence-based investing’s influence in the marketplace; a must-attend for financial advisors and anyone looking to improve their investment decision-making process. Capital Link’s 4th Annual Dissect ETFs Forum will feature industry leaders who through a series of panel discussions deep dive into critical topics related to the trends, developments and outlook of ETFs while reviewing major investment strategies using ETFs. Institutional investors, Financial advisors, RIAs, private bankers, financial planners, fund and asset managers, analysts, and financial media utilize this forum not only as a resource for sharing and evaluating the latest ETF products and trends, but also as an interactive platform for enhancing visibility and establishing the right connections. 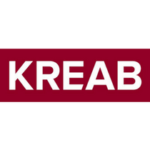 – What are the latest innovations in smart beta indices and alternative investment strategies? 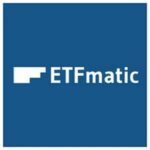 – How to analyze, select, monitor and trade ETFs? – Understand the liquidity of ETFs on the secondary market and the trading of blocks. 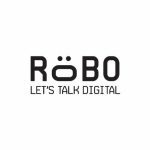 Robo-Advice: A Threat or an Opportunity for the industry? 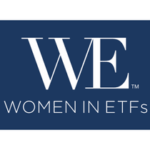 Scalable Capital, one of the leading European digital wealth managers, iShares by Blackrock, the largest global ETF provider, leading consultancy Celent and trade association Women in ETFs invite you to a discussion about the implications of the rise of digital players in the wealth management space: is it a fad? Which customer segments could be better served with a tech-enabled service? Can digital wealth management be profitable? How to create a digital proposition that delivers a true value-add to your customers and your business? Should you do it in-house or partner? The Discover how institutions, advisors and hedge funds are translating smart beta theories into real world results. Topics include how to profit from crowded factor trades, the way factors are transforming fixed income, and what factors tell us about active management. The conference is dedicated to institutional investors, multi-managers, private bankers and family officers, and will focus on the key aspects of modern investment approaches, including indexing, single and multi-factor portfolios and smart beta solutions. This conference will also offer unique insight into the investment vehicles providing access to those benchmarks, and shed light on how you can select the most efficient funds available on the market to benefit from the liquidity offered by secondary markets through listed ETFs. The ETF Trading and Market Structure Conference will focus on regulatory and technological developments in the markets impacting the trading of ETFs. This event will bring together leaders from across the ETF industry, including ETF sponsors, exchanges, broker-dealers, institutional investors, regulators, and other market participants. During this half-day conference, you will gain a deep understanding of the key practical steps required to ensure optimal investing in passive vehicles listed on European exchanges. Attendance is free and strictly limited to asset owners (pension funds, corporates, insurance companies), IFAs, private banks and multi-managers. The TrackInsight Investor Summit aims to compare the experiences of institutional investors in passive management and to decipher the latest developments in the industry.Attendance at this seminar is free of charge and strictly reserved for institutional investors acting on their own behalf and multi-managers. 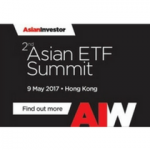 The Asian ETF Summit brings together an audience of asset owners, asset and wealth managers to discuss the latest ETF innovations and the different uses for ETFs as an investment tool. 550+ global fund decision makers including 150 fund selectors as well as key regional and international CEOs. 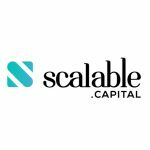 Fund Selectors we welcomed in 2016 included IBS, iFast, HKMA, Sunlife, IPP Financial Advisor, NAB Private Wealth Advisory, Coutts and AIA Pension to name but a few. 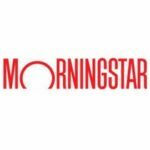 The Morningstar Investment Conference presents the latest developments on financial advice from the industry’s top minds. Attendees will come away with new perspectives on the market and actionable ideas to put into practice—whether you construct your own portfolios or outsource the investment management process.